What does it mean to be a cloud professional? We see the term in more and more training and certification programs, and ‘cloud skills’ has increasingly become a requirement on many job descriptions. It’s quite general and vague what these specific skills this translates to for the variety of positions in IT and some non-IT functions involved with cloud computing. Last year we shared a series of videos from interviews with the authors of the Cloud Technology Associate certification syllabus to help answer these questions. As the demand for cloud skills continues to grow in 2016, we are revisiting the topic and sitting down with them in a webinar so we can delve deeper into the subject. Sudhakar Nagasampagi is a 25+ year IT professional, accredited master trainer, international speaker, trainer, course author, blogger, etc. He is an active Project Management Professional (PMP) and holds the ITIL 2011 foundation certification. He currently provides training in the areas of cloud computing and virtualization, in which he maintains numerous certifications. He also provides training in IT security and cloud security. He is the lead author and master trainer for the Cloud Credential Council (CCC) Cloud Technology Associate (CTA) course. 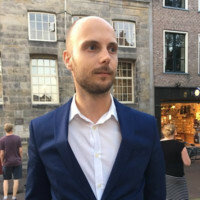 Peter van Eijk develops and delivers workshops for swift and secure cloud adoption. He has worked for Deloitte Consulting, IT supplier EDS, internet providers, and at the University of Twente, where he received his PhD in 1988. He is also the co-author for the Cloud Credential Council (CCC) Cloud Technology Associate (CTA) certification syllabus.